If you need a pick-me-up, go and read through the replies and threads that start with Anil’s question. There are replies from many people who are grateful to others for an unending variety of reasons, some large and immediate, some small and indirect, some that were only realised months or years later. One commonality between many of the replies is that of selflessness. People who help others without expecting something in return. This prompted me to think about those people who’ve helped me in my career through their own selflessness, without my prompting, and without their expecting anything in return. I’m lucky that several people have helped me in this way. My WordPress story started in around 1998 when, as a fourteen year old living in a house that was one among just sixteen in a forest in the English countryside, my divorced parents saved up and bought me a Windows 98 PC for Christmas. A personal computer was a big expenditure for my parents. We weren’t able to afford an Internet connection, and at that time I don’t recall being particularly aware of the Internet. As a result, I took an interesting route into web development. Windows PCs at the time came bundled with Internet Explorer and promotional material from Internet service providers in HTML files. I wanted to find out how these pages were built, and I discovered Frontpage Express could edit the files, although often with many errors (which years later I attributed to the lack of HTML standards in use). One day my curiosity lead me to the View Source menu in Internet Explorer. Boom. What is all this code? What do all these angle brackets do? Is this how web pages are built? Can I change this? Naturally, everything I changed initially broke pages completely. The Undo command was my version control system. I figured out that text wrapped in <b> produced bold text. I hadn’t a clue how a <table> worked without breaking it. <marquee> ended up everywhere. Poor support for much of the markup in these files made Frontpage redundant. Looking back, I could say that the View Source menu in Internet Explorer was an important part of the progression of my career. Maybe also that of thousands of other web developers. If the inventor and early adopters of the web hadn’t been strong proponents of open data and information sharing, it’s possible that the View Source menu would never have existed and the open web would not have flourished to the extent that it has. I spent evenings after school hacking on HTML. My older brother Adam gave me a book titled “How to Create pages for the Web using HTML” which introduced me to the world of HTML 2.0. I learned about the available tags. I learned about inline CSS, which set me up for learning React twenty years later. And I learned that you can see the source behind any web page, hack on it, and learn from it. I don’t remember the first web page that I put online when we eventually got Internet access. I doubt it was any good, but what the whole experience did do was help my curiosity grow, to which I’ve attributed much of my success so far. Being curious about a topic helps enormously when learning, self-teaching, and staying motivated. I didn’t attend university, partly due to my excellent high school grades not being followed up by any good college grades (in the UK, there’s two years of sixth form college between high school and university). In hindsight I see that I got bored of state education, and two short years flew by with no time for me to to fix that attitude. Stay in school, kids. The years after school saw me working barely above minimum wage in a supermarket by day and hacking on web projects at night. I was first introduced to WordPress by my brother Simon who built websites for customers of his printing business. After a brief period of building my own CMS (everyone’s done it, right? ), I realised there were many advantages to using a free and community built CMS maintained by a relatively large number of people. I started building simple WordPress sites for myself. Along with Simon and his friend Tom, we played around with the idea of a hosted web service to make it even easier for people to publish online using WordPress. The project never went anywhere (hello wordpress.com), but the ideas we explored helped me learn a lot about WordPress. I can pinpoint the start of my career with WordPress when Tom recommended me to someone who was looking for a WordPress plugin developer. That person, Conor O’Neill, became one of the people that opened a door for me in my career when they didn’t have to. Conor was pleased with the plugin work that I did for him, and selflessly passed my name onto several of his friends and acquaintances. He didn’t need to do that, it didn’t directly benefit him, but he did it because he knew it would help out his acquaintances and help me to get work. I started building WordPress themes and plugins for people that Conor gave my name to. I didn’t have much experience at the time, but I had the advantage of personal recommendations. It’s difficult to overstate how valuable a personal recommendation is. All the advertising in the world can be useless when competing against a personal recommendation. If you’re looking to start or change a career, I recommend asking people to pass your name on to friends and colleagues whenever they can. I’m one of the lucky ones that got a good start through personal recommendations, and if you can do that too then it’ll set you up well. Conor passed my name onto a chap named Damien Mulley who was also instrumental in advancing my career by passing my name on when he didn’t need to. I owe a lot to the selflessness of Conor and Damien. Around this time I started finding bugs in WordPress (a practice that I continue to this day). Another key point in my career came when I reported a bug on the WordPress bug tracking system, and was greeted with a pleasant welcome. One of the contributors, Lloyd Budd, was kind enough to take the time to explain to me that I could fix the bug myself and submit the fix to the WordPress project. He pointed me to resources for learning Subversion and creating patches. That small act of help lead to me becoming a regular WordPress contributor, and ultimately one of the core developers. Lloyd didn’t have to use his free time to help others out, but he did, and it had long-reaching impact on my career and on the WordPress project. After a year of freelancing, I was able to get enough work that I could drop down to part time work at my supermarket job. I worked and self-taught for seventy hours a week for six months. I was afraid of leaving a stable job despite earning three times as much working as a freelance developer, but making that jump felt very scary before I made it. A combination of personal recommendations and working to get a name for myself in the WordPress sphere lead me to leave my supermarket job, freelance for a few years, become the first employee at WordPress agency Code for the People, and ultimately to join Human Made as a senior WordPress engineer. I’m lucky that I’m able to spend some of my time contributing back to WordPress, and I’ve been thinking a lot about how the principles of open source apply outside of software. I gave a short talk at WordCamp London in 2016 where I coined the phrase “Make it better, give it back“, which is how I interpret the fundamental principles of open source. It’s the idea of improving upon an existing process and giving it back to the community in order to embetter everyone, whether it’s through an open data project such as OpenStreetMap, a community initiative in your local area, or shared learning. Recently I came to realise that the “it” in “Make it better, give it back” doesn’t have to refer to the primary aspect of what you’re contributing to. 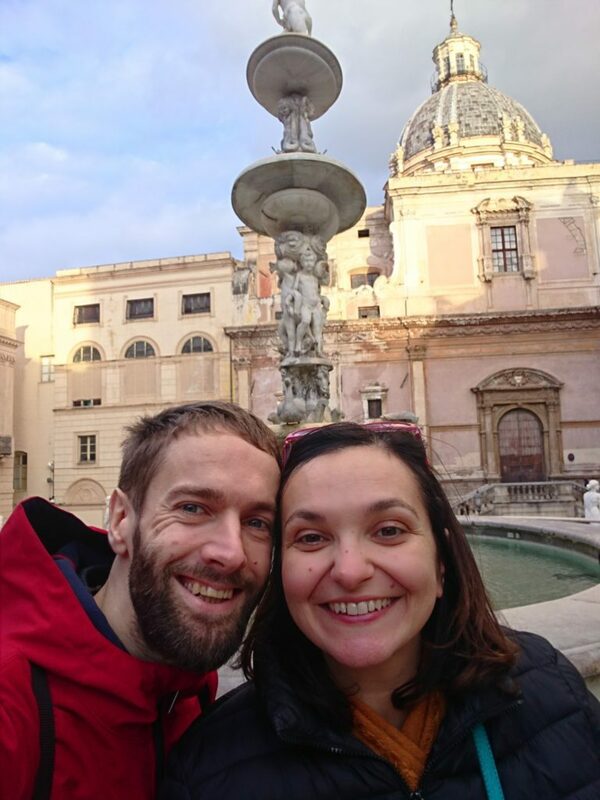 Lloyd made WordPress better by writing code and giving it back, but he also made WordPress better by improving the knowledge and skills of its community members, many of whom in turn give back in a variety of ways. Giving back allows me to improve many of my own skills. It allows me to challenge myself, not only technically but also in areas such as communication, compassion, critical thinking, and time management. 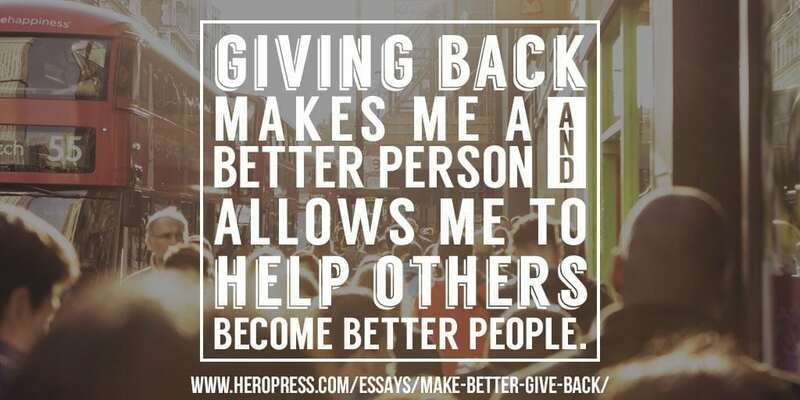 Giving back makes me a better person and allows me to help others become better people. Giving back has advanced my professional career thanks to the technical and people skills that I learn from it and the recognition gained by my contributions. In turn this has lead to many new friends, a career in a field that I enjoy very much, and it also lead to me finding the love of my life at a WordPress contributor day. I hope that in one way or another I’ve given back to many people in the open source community. 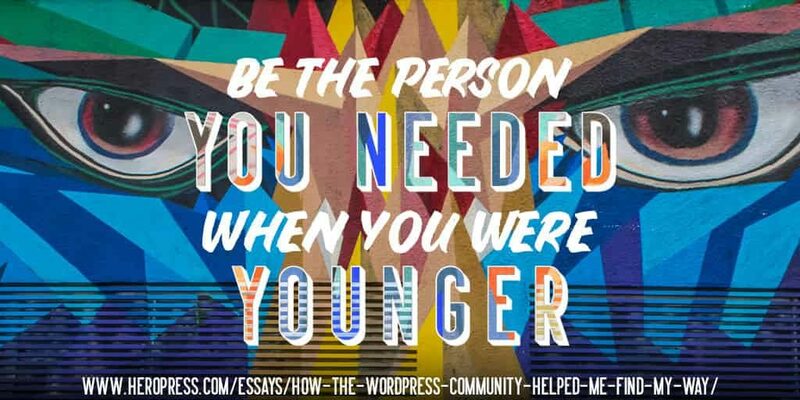 I’ve been involved with WordPress for twelve years now, and over those years I’ve given advice, pointers, and encouragement to others that might seem small or inconsequential at the time but can be just the sort of encouragement that somebody needs. The difference between not receiving a reply to a query, and receiving one which says “Thanks! That’s a good start” might mean the difference between never contributing again versus becoming a decade long community member. The post Make It Better, Give It Back appeared first on HeroPress.